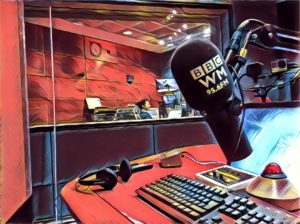 I've been the Editor of successful BBC radio stations, designed and delivered training for broadcasters and present a wide range of radio formats. 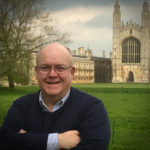 I wrote "The Presenter's Coach" for the BBC Radio. That's me, but this website is all about helping you with the media stuff in your life." Voice Overs ... warm, authoritative & also the voice of Santa! 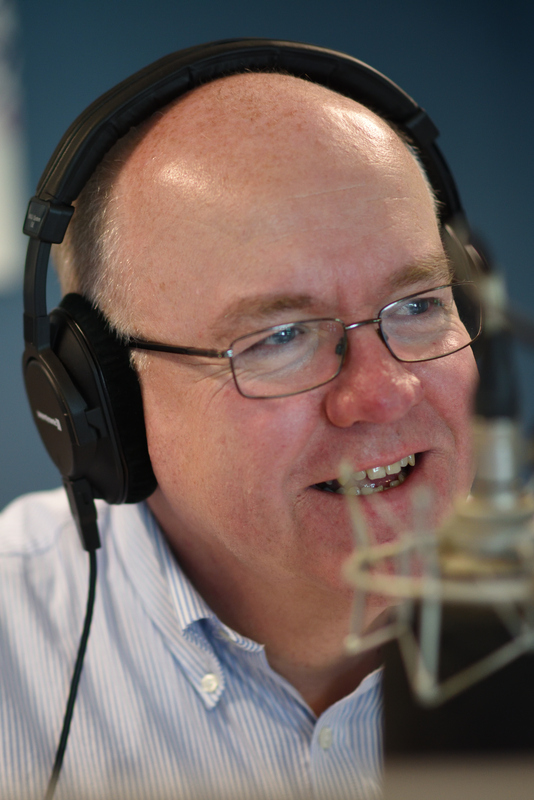 Media Training equipping you to give confident performances in radio, TV and press interviews. I work with the private, public and voluntary sectors. "The media training day was fantastic "
"You have made me 100% more confident!" 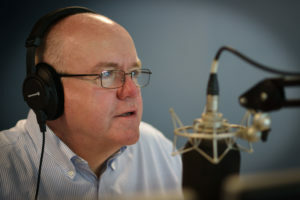 With a background in presentation and training, I really enjoy working with people who like to sit behind microphones. I coach on a 1 to 1 basis and train groups and wrote the "Presenter's Coach" handbook for BBC. My training results in immediate improvements. Whether it's a conference, an away day or a charity fundraiser ... everything goes better when a professional hosts the event. Recent events include a TV outside broadcast, commentary for a major sporting fundraiser and a charity auction. 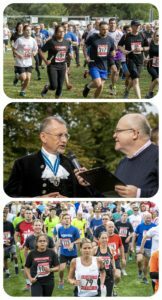 Picture: Compering the 2018 "Chariots of Fire" relay race in Cambridge in front of 4,000 people. 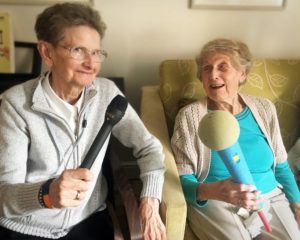 Radio Here & Now .. is an original, funny and highly interactive group activity for those living in residential care. 60 minutes on Cloud 9 - the story, music & memories of Peterborough's Cloud 9 club where Free, Genesis and Thin Lizzy played before they became famous. Play loudly and enjoy! 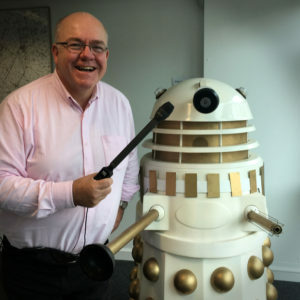 I've had a few big interviews in my time, but none bigger than chatting to a Dalek. Naturally, I relied on my trusty Rode reporter, plugged into a Rode i-XLR interface connected to my i-phone. My review of the i-XLR is here. I love trying out new tech. My reviews are impartial and unpaid. Here's one of the more recent ones for a radio made by Majority. My Talking Photos creates special films of memorable moments in people's lives through their own words and photographs. Click here for more details.